In recent years, the materials used to produce pipes are becoming more and more diverse. Steel, as a type of traditional ingredients, still holds the palm nowadays. Unlike PVC and other metals, steel is much stronger and get resistant to corrosion while being applied with a protective layer. Due to its reputable fame, steel is used in automobile, construction and food industry. 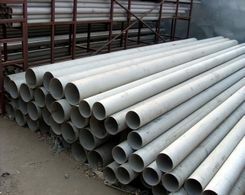 Stainless steel pipe is popular for its resistance to rust. 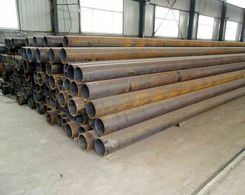 When it comes to black steel pipe, it is well know for cheaper price. The thickness of the black steel pipe varies as the changing of the dimensions. It is not difficult to cut thin pipes, but if you plan to cut the pipes in domestic way, you will have to prepare custom tools. Generally speaking, it is not easy for homeowners to accomplish the cutting task by themselves. In advance of starting the task, please check whether you have prepared the enough tools: workbench, rotary pipe cutter and bench vise. The vise is used to secure the location of the pipes. When you have attached the vise to the workbench, the pipes can be secured by the vise. In order to provide yourself with enough space to handle the pipes, the length between the pipes and the edge of the workbench should be more than 8 inches. To insure the correctness of the cutting task, you should better make an obvious mark at the point where need to be cut. Then the pipe cutter can be used to cope with the pipe. Tighten the handle to let the cutting edge touch the pipe. In order to save your energy and ease the cutting, the lubricating oil can be applied to the cutting site. And then you can keep on tightening the handle and rotate the cutter. It is impossible to cut through the pipe with one time rotating cutting. Before keep on rotating the cutter around the pipes, it is better to apply extra lubricating oil. While you have finally cut through the black steel pipe, you may find that the cutting edge is not even. The reamer can be used to smooth the edges. Although different types of pipes have different mechanical properties, such as hardness, dimensions and thickness, it is not hard to handle the cutting process with the similar method. 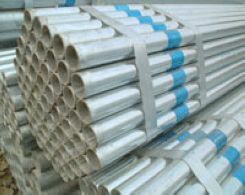 Prev:How to Bend Welded Steel Pipe? Do You Know How to Produce API Steel Pipe?